Book vs. films. Wormtail x]. Wallpaper and background images in the Harry Potter Vs. 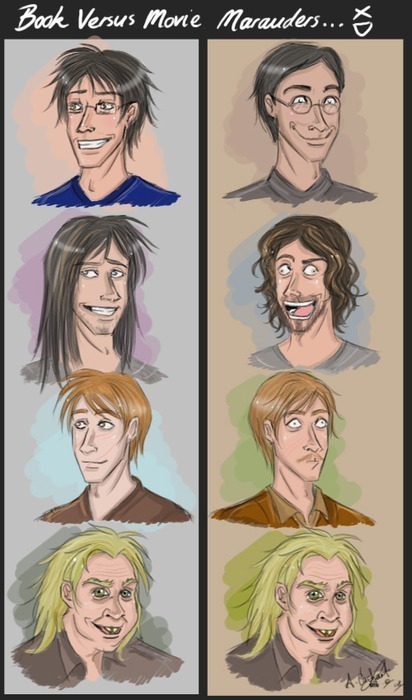 Twilight club tagged: marauders james sirius remus peter. This Harry Potter Vs. Twilight photo contains anime, grappig boek, manga, cartoon, and stripboek.